Katherine Mansfield was born in Wellington, New Zealand, as Kathleen Mansfield Beauchamp on 14 October 1888 and died on 9 January 1923 in France in Fontainebleau, having left New Zealand never to return in 1908. For different reasons, both New Zealand and British critics have since taken to claim her as one of their own. Widely regarded as one of the most important Modernist short story writers (Gordon, “Katherine Mansfield in the Late Twentieth Century” 16), she lived in and around Wellington until she was nineteen. She was born into a well-to-do middle class family, her father being a successful businessman for the Bank of New Zealand. For such a family, it was customary to send the children across the ocean to England to finish their education in what was regarded as a ‘proper’ manner. England, the mother country, was still regarded by the white settlers of New Zealand as culturally superior to the little island at the other end of the world. The four years from 1903 to 1906 Mansfield and her sisters spent in London, attending Queen’s College. Upon her return, Mansfield was confronted by the, in comparison to the metropolis London, provinciality of New Zealand life and was therefore eager to return to England, as it was there she saw greater chances of becoming a writer. Like many of her contemporaries, she lived life to the fullest, always pursuing extremes in order to be a better writer and focusing all her strength on her work. She got married twice, most importantly in 1918 to the English magazine editor John Middleton Murry, who took it upon himself to publish her extensive journals and notebooks after her death. Unfortunately her life was cut short because she contracted tuberculosis, a disease many of her contemporaries, such as Franz Kafka and her friend D.H. Lawrence, suffered and died from. In order to find health Mansfield travelled the European continent extensively, always moving, never staying in one place for too long. In the nine decades which have passed since her premature death, Mansfield’s stories have been analysed to great degree. Critics agree on the greatness of her so-called New Zealand stories, the stories Mansfield set in her remembered childhood world, yet the one aspect that critics are in absolute disagreement over is whether or not they should be included with the British or the New Zealand canon of literature. 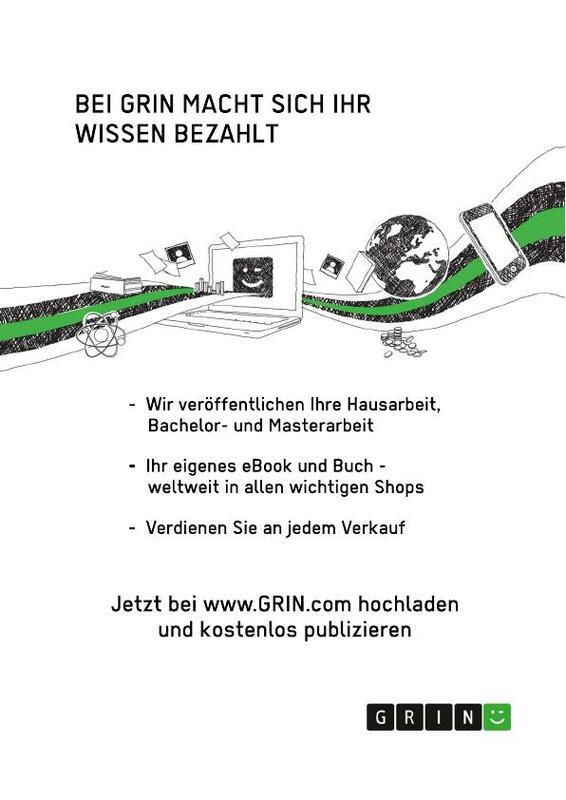 Depending on which critic is consulted, and of which nationality he or she happens to be, different aspects of her writing will be highlighted and enable a classification into either corner accordingly. To illustrate why it is so difficult to place Mansfield with either canon of literature, this thesis will take two approaches. The first approach will be from a cultural point of view. Katherine Mansfield lived in a time when her country of origin, New Zealand, was still a colony of Great Britain, only in the first stages of developing a separate culture. The Homeland was still the place artists oriented themselves on and only there they had a real chance of making a living as writers. Being a colonial formed Mansfield’s opinions of both New Zealand and England and it is an essential feature in her self-representation, her writing and her relationship with the country. As will be shown, she was a woman of her time in every respect, exemplifying the typical life of a Modernist and of an expatriate colonial of the time.  She spent her childhood and a part of her adolescence in New Zealand and these experiences never left her. During her life, she continuously returned to these memories and her identity was shaped by them. This first part of the thesis will draw heavily on Mansfield’s extensively preserved letters and journals, while the second part will constitute an analysis of a selection of her most famous short stories. Secondly, in discussing Mansfield’s stories and whether there is something to them that could place them within the New Zealand canon of literature it is important to consider three main aspects in analysing them: firstly, there is the linguistic level. Does she use idioms that are typical for the New Zealand English of her time? Secondly, does the content refer to a tradition of topics appearing throughout New Zealand literature? How does she depict typically New Zealand topics such as the islands’ indigenous population, the Maori? Are her stories straightforward in being about New Zealand or are they more of a universal kind rather than national? And lastly, her choice of the short story as her genre of writing is to be considered. This part of the thesis is going to make use of two main examples to highlight these aspects: At the Bay and How Pearl Button Was Kidnapped. These two stories belong to Mansfield’s most famous short stories set in New Zealand. However, there is an important difference between the two stories. WhileAt the Bay is one of the many short stories of Katherine Mansfield which feature a depiction of her middle class upbringing, How Pearl Button Was Kidnapped is the only instance in which she describes the Maori, albeit ambiguously. 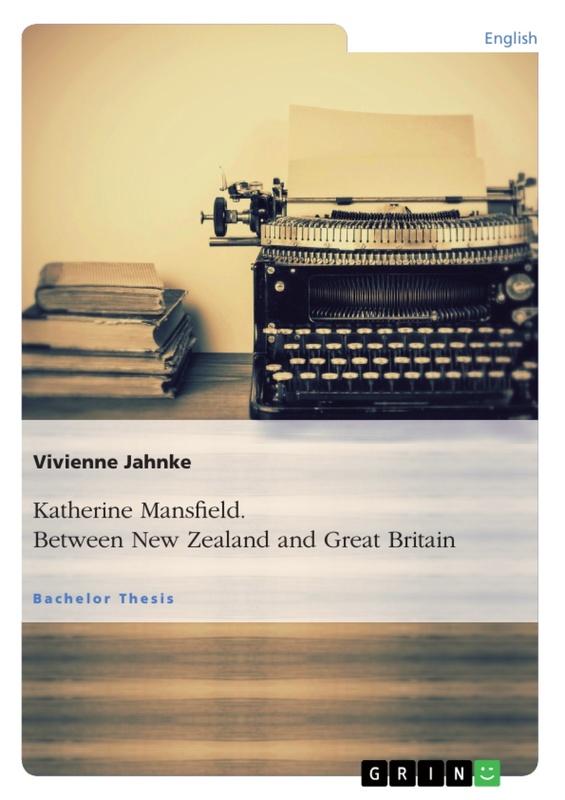 Finally, the last part of the thesis will be dedicated to Katherine Mansfield’s reception within New Zealand’s literary circles and her ambivalent status as a kind of ‘founding mother’ of New Zealand literature. A good example to base such an exploration of her position on is the post-colonial re-working of Katherine Mansfield’s work in Witi Ihimaera’s 1989 short story collection entitled Dear Miss Mansfield. In this collection, Ihimaera, New Zealand’s best-known Maori writer, reworks and responds to some of Mansfield’s short stories from a Maori as well as from a post-colonial point of view. It is therefore very well suited for a discussion of Mansfield’s position within New Zealand’s tradition of writing. Situating Mansfield within either the British or the New Zealand canon of literature is difficult; several attempts have been made over the past decades. Often, the work on the subject has been inconclusive, Mansfield’s writing was found to show attributes which would make it possible to include her with both the New Zealand and the European or British tradition of writing, as in the case of Nelson Wattie. Other times the evidence let to different evaluations, clearly situating her in the British canon only, as in the case of Alexandra Schmidt. The following pages shall give an explanation for this ambiguity. However, the reasons for including Mansfield in the British canon of literature are quite straightforward: she composed the major body of her work in England and the Continent and her short stories undeniably belong to the realm of British Modernism. 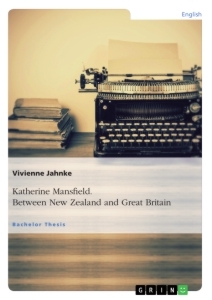 Therefore, this thesis will focus on presenting reasons for either including or excluding Katherine Mansfield in the New Zealand canon of literature and argue her affiliation to the country. In discussing Katherine Mansfield and the possibility of her having a place in New Zealand’s or England’s canon of literature, it proves worthwhile to have a look at the basic literature companions and anthologies available in order to see how these books place her. Having done so, it is interesting to see that she is included in all such books which have the word “English” in their respective titles. Katherine Mansfield is filed under English literature without a thought being given to the notion that she could instead belong to New Zealand Literature. TheNorton Anthology of Literature by Women (1461), The Norton Anthology of English Literature (2408), The Cambridge Guide to Literature in English (633) and The Oxford Companion to English Literature (613) all merely state that she was born in New Zealand and declare that she is part of the English literary movement of Modernism. Of course, all of these anthologies are collections of what its editors deem to be English authors. Margaret Dabble, editor of The Oxford Companion to English Literature, makes it clear in the Preface to the book that she intends it to be “a list of English authors”, referring to nationality, not English-speaking writers (v). That does not keep her from including Katherine Mansfield or her equally conflicted contemporaries, such as James Joyce, in that list. She in fact does not even see the necessity of calling them “British” to be able to include them. Meanwhile, looking into a collection such as The Oxford Book of New Zealand Short Stories, edited by renowned New Zealand Mansfield scholar Vincent O’Sullivan, it is stated there that Mansfield “was born in Wellington, and spent half her life in New Zealand, half in Europe. [She is] New Zealand’s best known and most influential writer…” (446). These findings clearly show how difficult it is to place Mansfield in either canon of literature and how the decision often seems to depend on which nation one belongs to or what the scope of the book is intended to be (Gordon, “Katherine Mansfield in the Late Twentieth Century” 17). Mansfield, on the one hand being born in New Zealand and using a substantial amount of her stories to write about the country as well as on the other hand being undeniably a Modernist, seems to be forever in a grey area. She shares traits which make it possible to place her with only the English or New Zealand canon and impossible to exclude her from either. To shed some light on this, it is necessary to have a closer look at her life and what makes her such an ambiguous figure. To start with, there is the evidence of whether or not Katherine Mansfield considered herself a New Zealander or an Englishwoman. She kept extensive journals, notebooks and correspondence. Thankfully, most of them are preserved well and by now have been fully edited. Her husband, John Middleton Murry, took it upon himself to make these documents available to the public in his attempt to create a myth about his dead wife (Nathan, “Spheres of Influence” 162; Gordon, “Katherine Mansfield in the Late Twentieth Century”18). It has to be said though, that, in the beginning, he published only what he wanted the public to know about his deceased wife, making her out to be a saint-like figure and deliberately leaving out information that did not show her in a way he deemed fit (Stead, “Meetings With ‘the Great Ghost’’’ 223). It therefore prevented Mansfield scholars for some time to discern the “real” Katherine Mansfield and created some misreadings and misinterpretations. One of the most crucial instances where Murry’s editing results in a misreading of his wife’s opinion of her home country occurs when he tries to edit passages she wrote on her trip to Urewera. She undertook this trip in 1907 during the time she spent trying to persuade her father to let her go back to England again. The Urewera is an area of primal forest, much like a jungle, on the upper part of New Zealand’s North Island. At the time Mansfield went there, it was still a dwelling place of the Maori, unperturbed by civilization. Nowadays, it is one of the few areas of primal forest New Zealand has to offer. To get to Urewera, Mansfield and her travelling group passed through Rotorua, a town on the North Island set in an area of thermal activity, full of geysers and other thermal phenomenon. Murry, unable to decipher Manfield’s handwriting, made one of her comments on the town out to be “that little hell”, when, as was later carefully deciphered, what she really said was “that little hill” (Gordon, “Katherine Mansfield in the Late Twentieth Century” 25). For Murry to take her comments on Rotorua with its inescapable sulphuric smells to be reminiscent of a place of “hell” is an understandable mistake, but it also suited Murry’s superior English view on the far off colony New Zealand much better. Mansfield misconceptions are formed by such misreading and cause problems because they were repeatedly picked up by her biographers over the years, such as Anthony Alpers in the 1950s and even years later Claire Tomalin in her attempt to shed light on Mansfield’s relationship with her country of origin (Gordon, “Katherine Mansfield in the Late Twentieth Century” 23). Murry’s misreading or misinterpreting of his wife’s notes or taking them completely out of context for their first publication helped constructing an incomplete picture of Mansfield’s opinion on her country. The disclosure of the complete material helped right some wrongs in that area, thanks to the minute work done by Mansfield scholars such as Margaret Scott and Vincent O’Sullivan, who edited the Journal and Notebooks respectively. Nevertheless, some misconceptions still persevere in people’s minds today (Gordon, “Katherine Mansfield in the Late Twentieth Century” 22).